Yes, I remember the Christmas outfit, those velvet pants are sensational. You have the best style! Happy Monday! 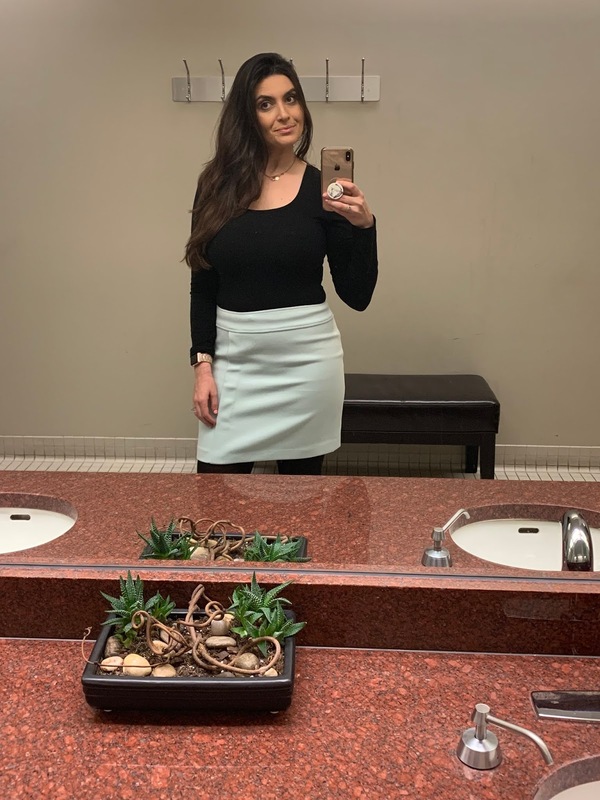 So many cute wear to work outfits. I love the skirt! I can see why you picked it up after seeing it on your sister! And of course, I love all the leopard! Happy Monday! 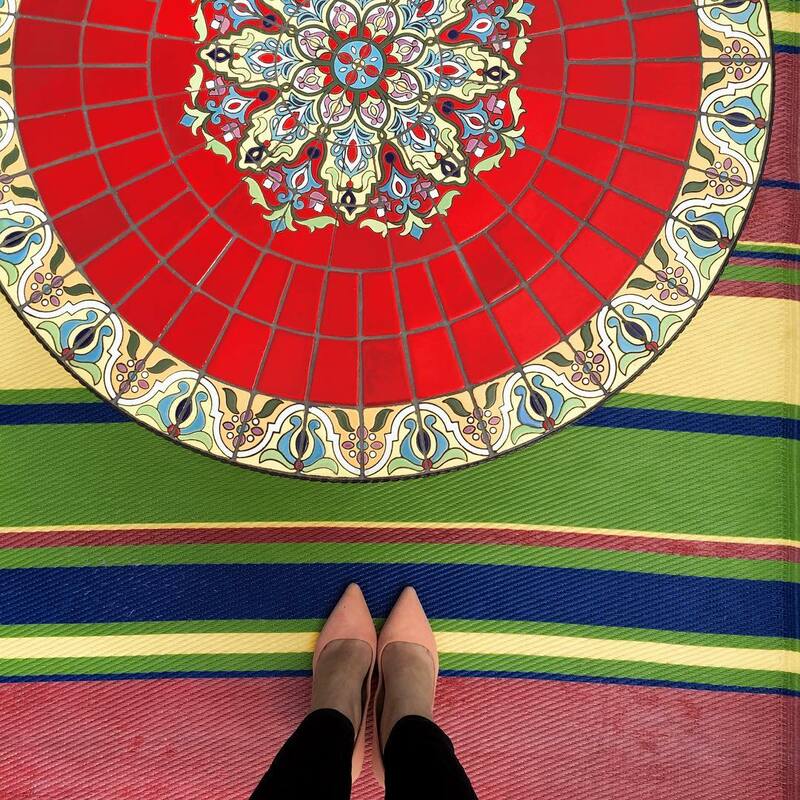 Love your Friday outfit with that pop of color! That color looks good on you! And I totally pair leopard with everything because it goes with everything haha! 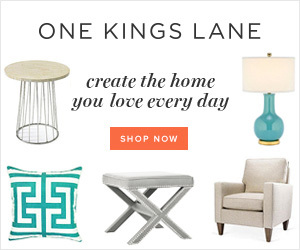 LOVE all of these outfits--they would all be perfect for my office setting too! 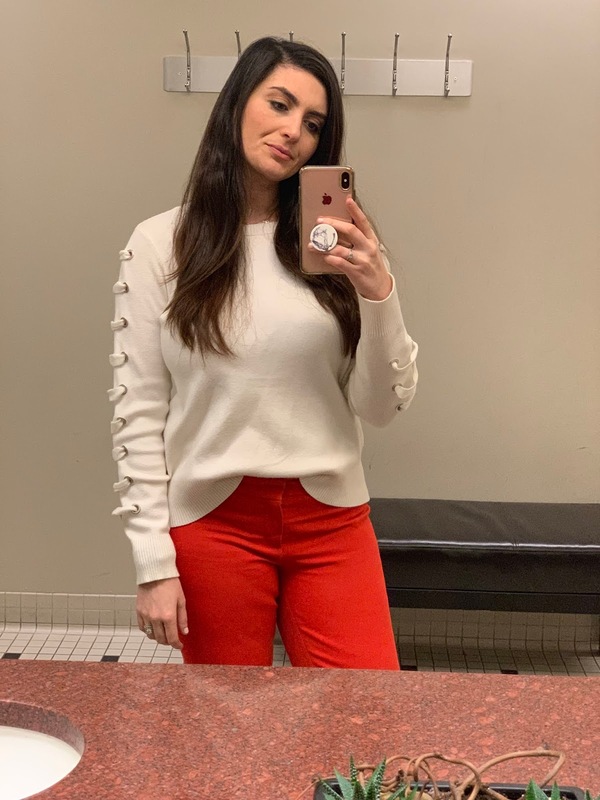 Those red pants are SO cute--might need to add those to my closet! Love the last one for Valentine's Day! Super fun! I love ankle pants too -- and the scalloped pair is so darn cute! 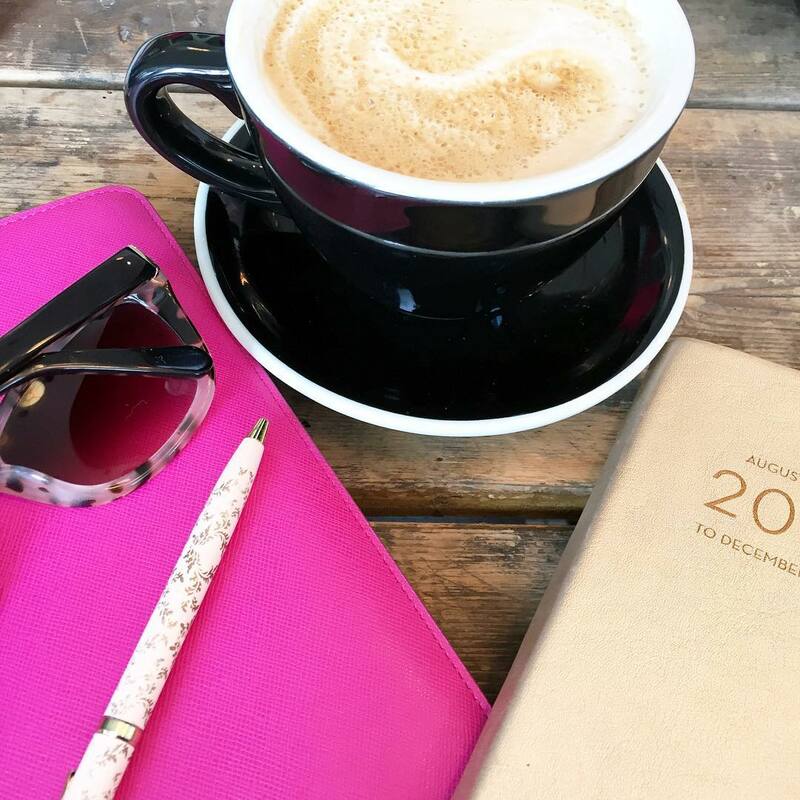 Love your business style! I love them all but red, white, and animal print is a POWER combo!!! Get it!!! Love your work wear. So many cute tops! That sweater in your last outfit looks so comfy! I can't wait to see more of these posts! 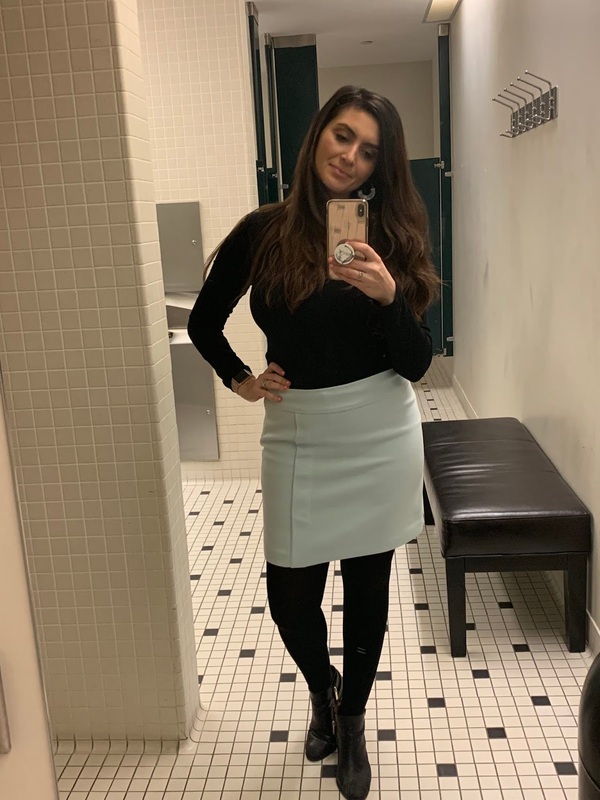 Your outfits look great - pulled together, professional and stylish! 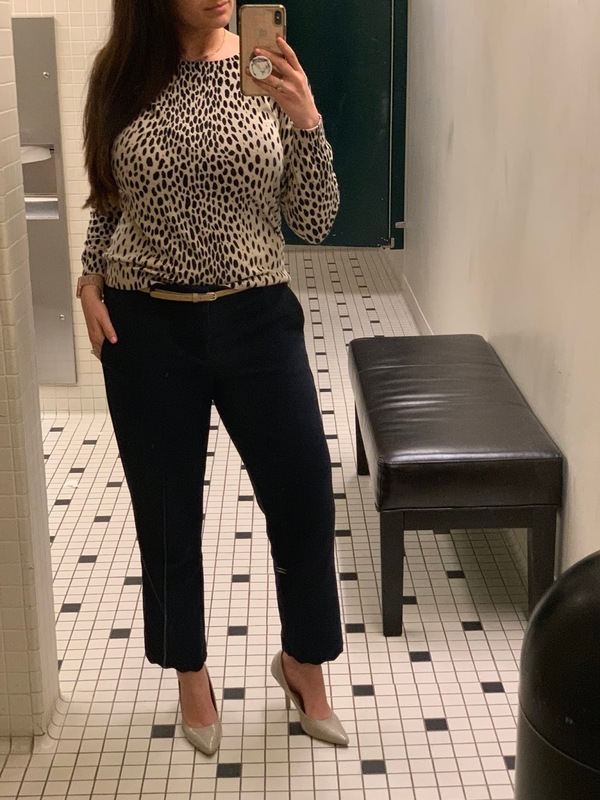 I always love a little pop of leopard! Such cute looks, and I love that you could just go on to your event with that skirt look! i love this! 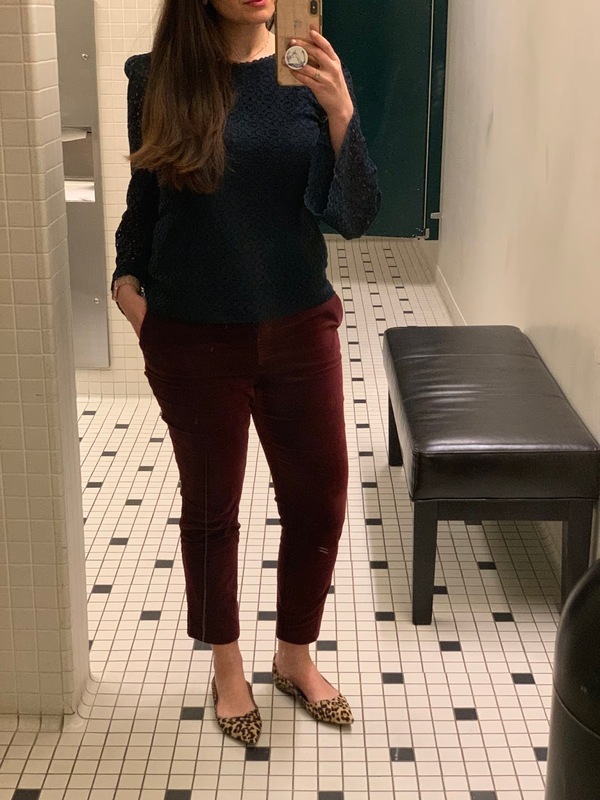 i wish more people would share what they wear to work.. sometimes when i look on pinterest, it shows super ridiculous outfits or jeans/leggings.. all good and well for some offices, sure, but i can only wear jeans on friday lol. i absolutely love that sweater you got in ireland! so cute. SO cute! 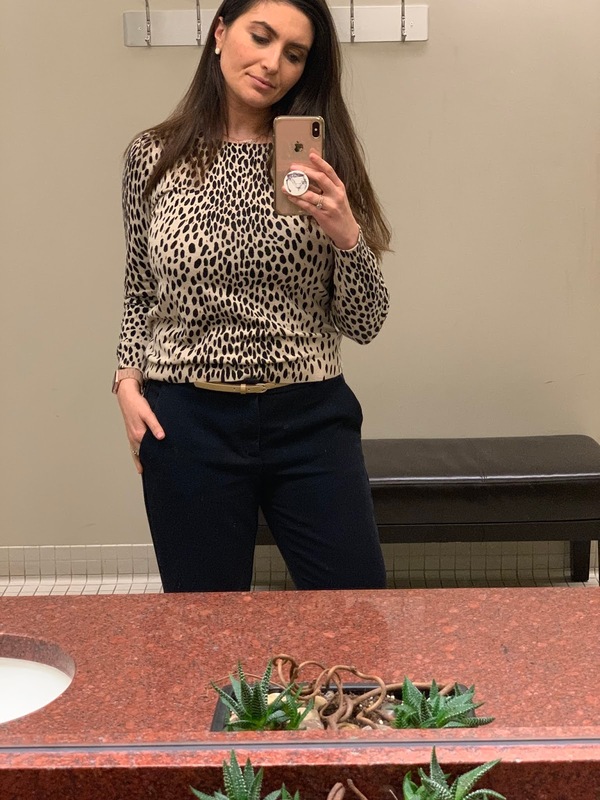 You have to be the best dressed in your office! I love every single one of these looks! I'm nowhere near as fashionable as you - you must be the envy in the office! I can see why the ruffle top is sold out! I love that color on you!! I'm a fan of the ankle pant too, it's so flattering! Ok I really love your work style! That leopard teddy sweater is gorgeous! I LOVE this post! 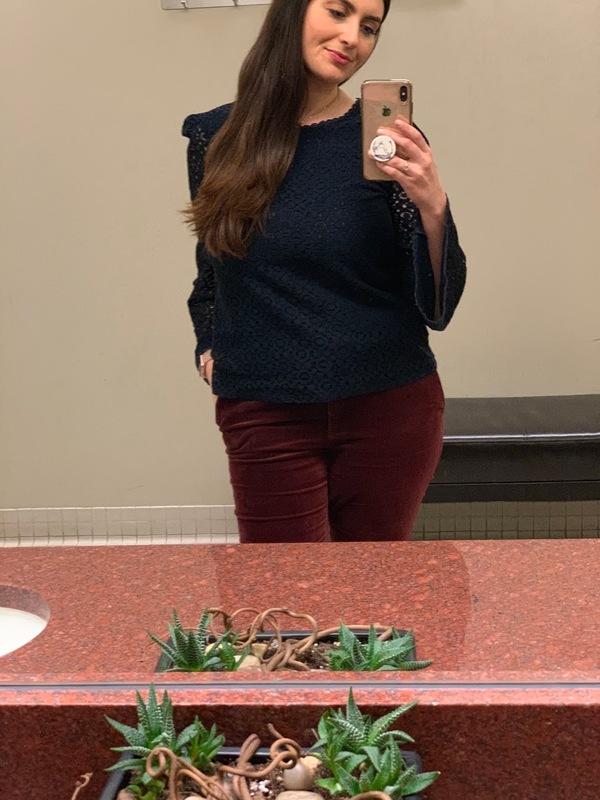 Love your style so much... it’s fun seeing what you wear during the week! I loved this post! You should definitely do them more often. That black and white look is my favorite!! So cute! Girl, you look fierce! I love the look with the leopard print sweater. Those are some great work outfits. I really like that first lace JCrew top. I love how you styled these. I'm all about navy! 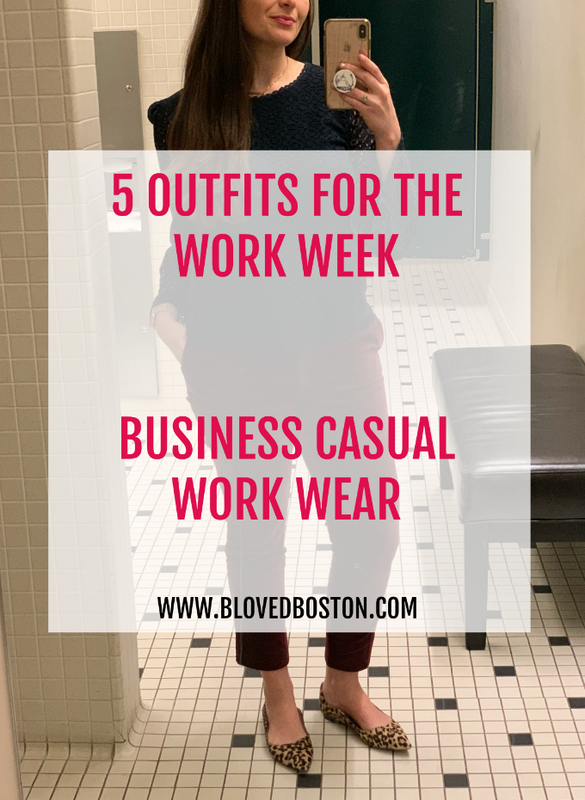 Sometimes I miss wearing business casual, but it is pretty awesome to jump out of bed and put b scrubs on every day! Nice to see a week's outfit that are really worn outside for work. 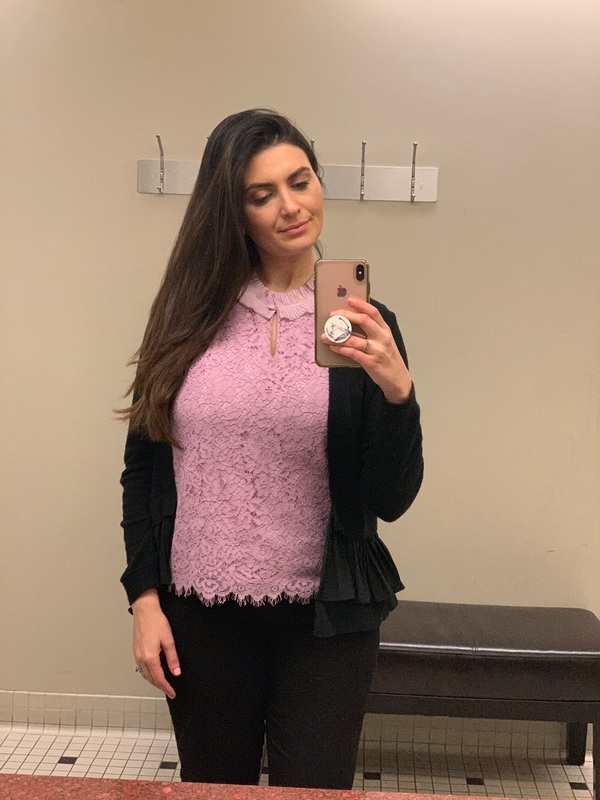 The pink lace top and chunky sweater are for the win. Love, love, love you're cute outfits. I would wear them all weather permitting...I have so many cute heels but always opt for flats for work, boring I know but I prefer comfort. I admire the ladies who can walk a full day in heels. Ahhh, I love posts like this and LOVE all of the cute outfits you put together! I'm such a fan of classic looks but with a pop, like you added to so many. I have to admit, I miss getting dressed for work. :) You look amazing, momma! I love your work style. Casual yet very put together. I love this post! 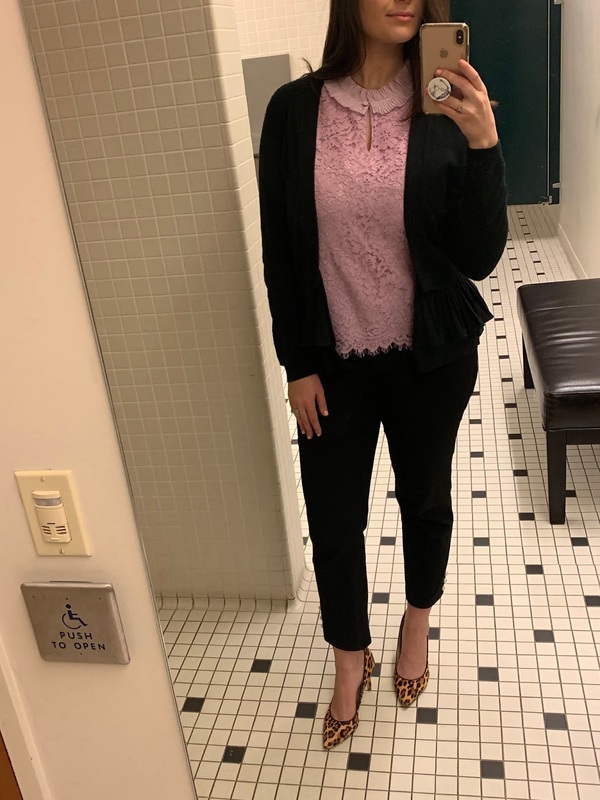 It is so nice to see someone real sharing work outfits. 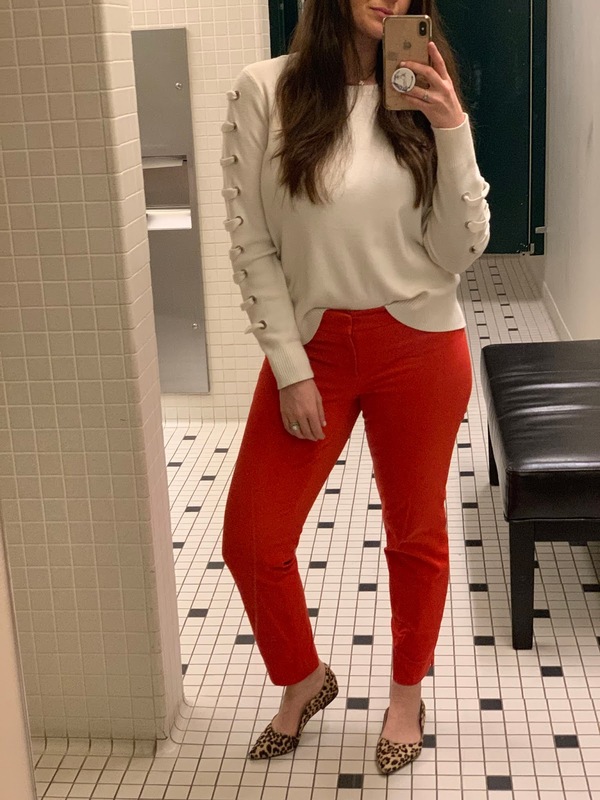 By that, I mean, most fashion bloggers share their "work clothes" and they are wearing absolutely ridiculous things I would NEVER wear to work. Or ever. Or, they are dressed in jeans looking like they are going to a concert and not the office. We cant wear jeans at my office, it is very professional. But I could wear most of what you have on in these pictures. I struggle so hard with work clothes inspiration sometimes. Ann Taylor is Loft are my go to stores. I can only wear heels about once a week, the rest I have to do small wedge and flats. Old feet over here! Ohh I wish I had every single one of these outfits! I think the boot skirt might be my favorite- I love how it looks with all of the black. Your work style very closely mirrors my own, lady- love it! I love your work style. I need some new pieces and I love the lavender pants that you recently posted on IG. All of these looks are so fantastic. You are really making me want t o up my work game.